The term “digitalisation” is ubiquitous in the insurance industry nowadays, but it remains an abstract concept for many. To shed more light on the topic, Insurance Business spoke to two experts on digitalisation in the insurance industry. 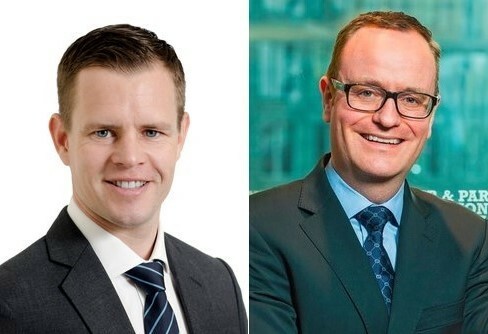 Jan Weiser is a partner at international consulting firm Simon-Kucher & Partners, while Dr. Dirk Schmidt-Gallas is the global head of Simon-Kucher’s insurance practice. To appreciate what digitalisation can bring to the insurance industry, first it needs to be defined. Weiser defines digitalisation as “changes enabled by digital technologies that occur at a pace and magnitude that disrupt established ways of value creation, social interactions, doing business, and more generally, our thinking”. According to Weiser, in order for digitalisation to occur, tech must permeate the entire insurance process, end-to-end. “The central part is the customer journey, along which we see multiple touch points where digital offerings come into play: pre-sales, during sales, and post sales,” he explains. Before the sales process even begins, insurers must create awareness and interest in their brand, often through social media. Next would be customer engagement through various means, such as online sales portals, digitally-assisted sales for agents and banks, and artificial intelligence-powered chatbots to answer customer queries. Digitalisation of the sales process allows individualised offers specifically made to meet the buyer’s insurance needs. This is followed by service and policy administration, such as apps and digital tools for applications, underwriting, and claims, often in real time. Weiser identifies this as an area for improvement, as more complex life insurance products are hard to underwrite instantly. Finally, loyalty and upselling tools such as bonus programs can be delivered digitally to ensure customers’ adherence to the brand. The benefits of digitalisation for the customer are quite straightforward, offering convenience, simplicity and better offers and services. However, Weiser says, it’s more complicated for insurers, as it means getting the products, internal, and external processes right. But, according to Weiser, the payoff is huge. Digitalisation can break through years of plateauing revenue growth, lower acquisition costs, and help insurers know their customers better, he says. Digitalisation can be a feared word among intermediaries, as the emergence of direct insurance is seen as a competitor to brokers and agents. But Weiser assures that the insurance business will always be about people. Intermediaries will remain an important part in the industry, but maybe move more into an advisory role. Meanwhile, Dr. Schmidt-Gallas lists three pitfalls that insurers and brokers encounter when digitalising. Many companies think they have to digitalize by all means and lack a digitalization roadmap. This means firms must evaluate what needs to be changed, and they must realise that not everthing needs to be changes. Digitalisation is handled as an IT topic. “Deep knowledge on customers, the market, and the competition is needed and needs to be considered when designing the overall (including digital) strategy,” Schmidt-Gallas says. Handling it as purely an IT issue will fail. Striving for the biggest and best solution possible. “When transforming an organization usually many small steps are better than a big bang introduction,” he shares. Sometimes, grand plans take too long to materialise, and by the time they do, competitors already have the upper hand. However, he also warns that as the insurance industry becomes more digital, there may come a time that it may tread on the large tech companies’ domains.